One of the things I liked most about 92.9 Kick FM, Red River College’s campus radio station, was alternative music that provided a departure from the classic rock or top 40 stuff at the mainstream stations. With the death of that station a couple of years ago there is no consistent source of new alternative music on the Winnipeg radio dial. Ctrl Alt Radio is a Winnipeg-based online streaming music station that “was created in response to the absence of a local alternative rock station in Winnipeg, Manitoba.” This doesn’t help me a whole heck of a lot when I’m driving to work, but I do listen to it sometimes when I’m on the PC at home. I have an objection on principle of voting for a band that uses a “V” as a “U”, but Gun is a decent song that grew on me even more with a few listens, and I give them props for their upset over the heavily favoured Japandroids in the first round of Last Song Standing. While I applaud the spunky effort of Modern Baseball, I don’t need to hear about the social problems of teenagers. CHVRCHES takes this one. Bastille has some sort of tribal world-beat thing going on with this song, while Grouplove puts together an interesting effort with tempo changes, a pulsing beat and a young Kim Jong Un in the video. A lot of songs have that, mind you. Not Kim Jong Un, but tempo changes and a good beat. These are two good songs, but Pompeii edges out Ways To Go in this contest because I think I detect a little more originality in the melody, and I like the fun chorus: How I’m-a gonna be an optimist about this. Hey, hey-ho, hey ho. I like the acoustic guitar in The Story So Far’s Clairvoyant, but the song doesn’t seem to go anywhere and I can see myself getting tired of the moody vocals after a few listens. All in all not a bad tune, but not one that draws me in. And what’s that line about swimming in the water that breaks your levy? That’s weird. Follow My Feet is more up-tempo and actually has a chorus, although not an outstanding one, but it’s catchy enough. The Unlikely Candidates also get bonus points for lyrical subject matter that’s on a slightly higher plane than fights with the girlfriend. I’m picking up a little bit of 80’s prog rock from Fitz And The Tantrums. I recently went on a retro 80’s prog rock kick: The Fixx, Cutting Crew, Soft cell, Thompson Twins, Ultravox, a-ha, you name it. I’m over it now. Best Day Of My Life is an undeniably catchy song, plus there is a stripper in the video, so I think we have a winner. But good lord, what is that thing? 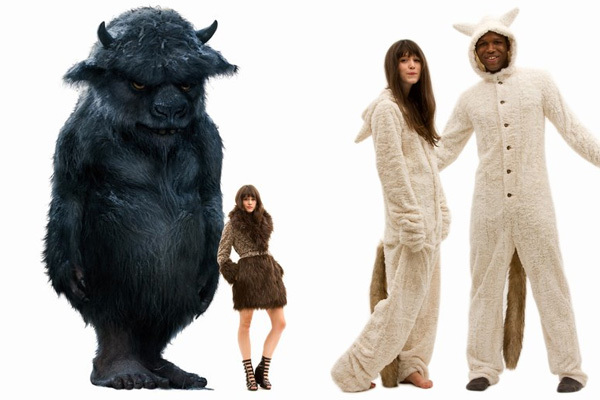 Related: did you know you can buy clothes inspired by Where The Wild Things Are? I mean, who wouldn’t want something like this? There seem to be a lot of songs with Hoooo Hooo Hoooo lyrics in them. I voted for one in the last bracket and here is another one! I clearly can’t vote for 2 Hooo Hooo Hooo songs in a row, so I guess this contest defaults to Bit by Bit by Mother Mother. Luckily Bit by Bit is a good song. In fact, I really like this song. It’s got some attitude and a unique and interesting sound. Both Bastille and CHVRCHES with a “V” make their second appearance in this contest. I voted for both of them earlier, which means that I’m going to end up voting for one of them twice which doesn’t really sit well with me, but what can you do? This isn’t the strongest bracket in the contest either which makes it even harder, so I guess now is a good time to punish CHVRCHES for using a consonant as a vowel and ALL CAPS. Another Love is a good song, but I am slightly annoyed with Tom’s inability to properly pronounce words. Being British isn’t an excuse either. I know he can do it, he’s just not trying. Pumpin Blood is a punchy tune that I could see myself copying onto the ol’ Walkman for when I go jogging. 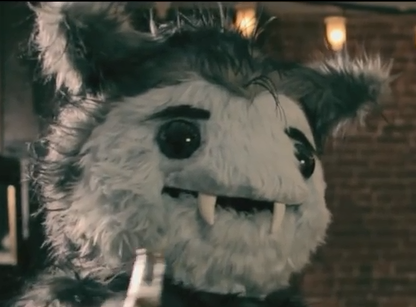 I can also totally relate to that guy with the burrs stuck all over his sweater. Been there dude. Safe And Sound by Capital Cities is built around a well-worn dance floor beat, and the lyrics are not all that original either. “I can lift you up…” Ya, so can a lot of other songs. Having said that, it’s a pretty decent if somewhat generic tune. I recall liking Free Tonight the first time I heard it, but tonight it’s just not doing anything for me. It seems like every musical cue they’ve employed in this song I’ve already heard in the other 15 songs. I am going to set Divided By Friday free tonight and vote for Capital Cities. Where’s all the Winnipeg bands? Maybe they got eliminated in the first round because you didn’t vote for them! Three Winnipeg artists got considerable air time this year on Ctrl Alt Radio (Imaginary Cities, John K Samson, Royal Canoe) but unfortunately they didn’t make the final cut for Last Song Standing. Maybe next year?! Supposing I had a good data plan on my phone, I could stream the music through my car stereo with the aux output I suppose, but that just seems so complicated. Plus I would have to upgrade my plan. I must point out that the line in the chorus is actually “How *am I* gonna be an optimist about this?”, which is much more in line with the bleak nature of the rest of the lyrics and the doom that would come to Pompeii. I originally misheard it the same way, exactly like how I thought that Living in a Box were singing “I’m a-livin’ in a box, I’m a-livin’ in a cardboard box”. Must be something about British vocalists. Thanks. That does make sense.